Kate Klika is honored to be performing with the Cleveland Pops Orchestra for the first time as one of two Grand Prize Winners of Cleveland POPS’ 2017 Jean L. Petitt Memorial Music Scholarship Competition! She is a senior at Firestone Community Learning Center in Akron where she will soon graduate from the International Baccalaureate Program. At school she also sings in Women’s Chorus, Symphonic Choir, Vocal Jazz, and the Madrigal Singers, as well as being a member of Thespian Troupe #5570 and an officer in National Honor Society. 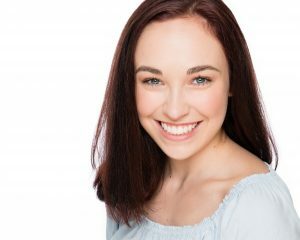 She has performed in over twenty educational and local productions in and around Akron throughout high school, engaging in her passion for musical theatre. Favorite roles include Ariel (The Little Mermaid), Roxie Hart (Chicago), Juliet (Romeo and Juliet), the Narrator (Joseph and the Amazing Technicolor Dreamcoat), Nina Rosario (In the Heights), Dorothy Gale (The Wizard of Oz), Winifred Banks (Mary Poppins), Macduff’s Son/Witch (Macbeth), the Kid (The Roar of the Greasepaint, the Smell of the Crowd), Madame de la Grande Bouche (Beauty and the Beast), and Teen Fiona (Shrek the Musical). Her performance experience also includes two solo performances with the Akron Symphony Orchestra: in 2015 she sang “Let It Go” for the Holiday Pops concert and in 2016 she performed two solos for their Akron on Broadway concert. In 2016 she won a Best Actress Dazzle Award from Playhouse Square for her portrayal of Ariel in The Little Mermaid at Firestone CLC Akron School for the Arts and went on to represent Ohio in the National High School Musical Theatre Awards in New York City. There, she performed at the Minskoff Theatre, the home of The Lion King, with 61 other high school actors from all over the country. In 2017 she was again nominated for Best Actress for her portrayal of Nina Rosario in In the Heights. In 2017 Kate competed in the first inaugural Shining Star CLE vocal competition and placed 2nd out of over 300 students in Northeast Ohio, winning a $5,000 college scholarship and a chance to perform on the Playhouse Square Ohio Theater stage as a finalist. She loves to share her passion for theatre and singing with children through theatre education, and has both volunteered and worked as a teacher’s assistant at Weathervane Playhouse, the Salvation Army After-School Zone, and Royal Family Kids Camp. Kate has been a voice student of Sarah Elaine Bailey for five years, studying both musical theatre and classical styles of singing. She will be studying musical theatre in college and pursuing a career in theatre. Thank you so much to Mrs. Bailey, Charlie, and my family! Without the constant support and love I receive from you guys I would not be able to do what I do!